We make our Heavy Duty Trellis from prepared timber 15mm x 35mm battens, all nailed at every intersection, making it easily one of the strongest trellis available anywhere. Can be used as a panel or for special features in pergolas as well as wall and deck screening. 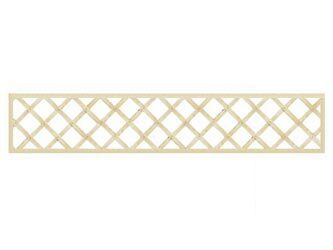 Ideally suited for use with a new fence fitted between extended timber posts. Will require varnishing, staining or painting after installation.